Though Apple revealed the AirPods’ wireless charging case last year alongside its AirPower charging mat, little has been revealed about the Qi compatible case since. Now a new image of the charging case has shown up in the fifth developer build of iOS 12, according to 9to5Mac. 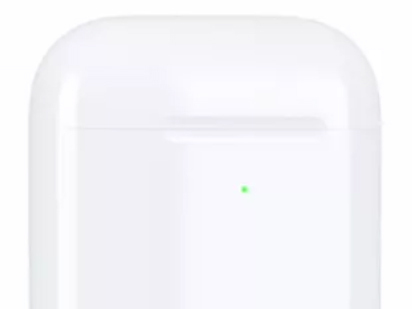 The new charging case includes a LED status light on its exterior, giving users an indication of when the AirPods are actually charging. It seems an amber light indicates that the device is low on power, while a green light shows that the device is currently charged. 9to5Mac says that the new AirPod case features an identifier called ‘AirPods1,2,’ with the current model being ‘AirPods1,1,’ It’s still unclear if Apple will ship new AirPods in this revamped case, or if the company plans to sell it as an accessory for current owners who want to add wireless charging to the Bluetooth headphones. 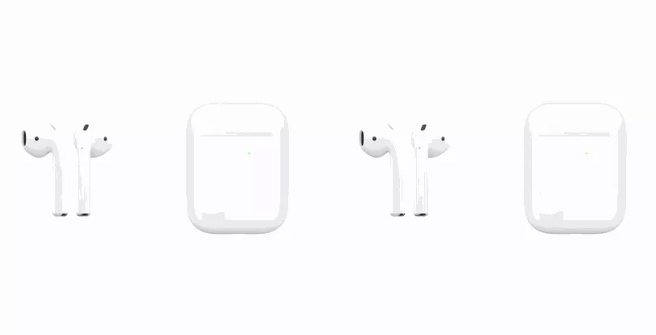 It’s likely that we’ll learn more about Apple’s AirPower charging mat and this new AirPods Qi case at Apple’s upcoming September hardware event, where the company is expected to reveal new models of the iPhone, as well as a refreshed iPad Pro.